I know it very well that you will agree with me when I say the condition of built-in CB speakers are disappointing. Yeah, most of them are not even worth mentioning! That’s why CB enthusiasts like you and me always find life in a good external CB speaker. We will have a look at the best CB external speaker available in the market. 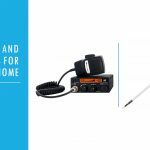 With a good external speaker for your CB radio, you will have an amazing experience of using the radio. What more you want than hearing those important updates whether it be from NOAA, Emergency channels or your friend talking from his CB device. So, you might ask what is the big thing about buying an external speaker for CB radio? Let me tell you that there are certain aspects you should check while buying one. The main aspect is the features. You should know what all features you want in the speaker. There are other key factors too. We will discuss these things later in the article. Before that let us head on to the best rated CB radio external speakers in the market. 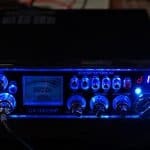 3 Conclusion: Got the Best External Speaker for CB Radio? Buying a good external CB speaker is not that smooth. You need to be very careful in choosing one. As far as I’m concerned, there are four things to focus on. In my opinion, the first thing you should focus on is the purpose of having an extension speaker for your CB device. But most of the customers fail in doing this and end up with the wrong product. I have heard a lot of customers complaining about the quality of the sound output- for some, the volume is too much, for others it is too low. The basic thing is that they didn’t choose the product based on its design. These devices are designed to give a particular level of output. Some are communication speakers which will not give too much sound output. So, make your choice first and choose a product wisely. We need to mount the speaker to our vehicle. 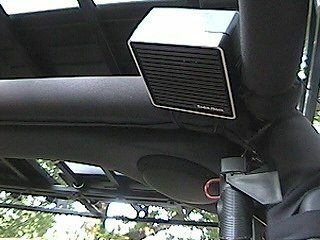 That’s why you need to choose the speaker in such a way that it is very easy to mount to your vehicle. One way to achieve this is by choosing a compact CB radio speaker. You need to get swiveling bracket too to mount it in the vehicle. Remember, most of the top rated external speakers come with all the arrangments for mounting. How much power rating do you require for a normal CB speaker? We recommend you not go for a power rating of more than 10 Watts? Most people use these external speakers to hear properly, not loudly. For that 10 Watts is more than enough. If you’re planning to go higher, you might have to use an amplifier. We have seen those factors one should focus to buy a good CB external speaker. Now let us have a look at top external speakers for CB radio. The number one in our list is from RoadPro. The RPSP-15 is a great little universal CB extension speaker. It is a 5 Watts speaker with 8 Ohm Operating Power. You don’t have to worry about the life of this amazing external CB speaker. It is designed to last longer than you think. Thanks to the metallic mesh grill. The speaker produces clear and wonderful audio. It gives you nice mid-range voice tone. Even when you’re surrounded with voice all around, there won’t be any issue in the hearing. It is very compact easy to mount on your vehicles. Literally, you can mount it anywhere. You can clip it on your vehicle or wherever you want. You can even place it in your cup holder too. The speaker comes with long wires. This also makes it very easy for you to place it wherever you want. This is a great external CB speaker you can buy. Although the power rating is only 2 Watts, it gives a commanding sound performance. It comes with thumb screws on either side to mount it anywhere in your vehicle. The greatest aspect of this excellent CB speaker will be its ability to reject noise impulses to give you an outstanding experience. They work very well for CBs and HAM radios alike. It is very compact and you will love the black colored speaker. Vectorcom TRD550 is another compact CB radio speaker you will love using. The 5 Watts and 8 Ohm speaker is a powerful device to listen to your conversations. In fact, this is the most affordable external CB radio speaker you will get. Coming to the performance, I will vouch for its performance even at an affordable price tag. It gives you an amazing sound quality. You will get clear sound without much disturbances and a medium level of amplification. 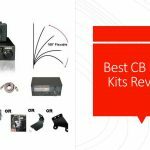 You can find out top CB Amplifiers here. The build quality is also very good. Mounting is also hassle-free. We recommend this one for people who don’t want much amplification, but clear sound at an affordable price tag. Midland 21-406 is a high-performance CB radio external speaker. The brand name is more than enough for you to have a look at the device. Midland is known for producing high-quality products. Tell you what, this is the most rated CB external speaker in the market. That speaks a lot, huh? The reasonable price and acceptance by a lot of happy customers make this a good choice. It offers large 15 Watt capacity and 4- Ohm impedance. The sound quality is very good. You will hear even weak signals in clear and crisp manner. The robust construction is another highlight of this amazing speaker. It is small and you will not find any trouble to mount it on your vehicle. We would recommend this to anyone looking for a commercial external speaker for CB radio. The Cobra HG S500 Highgear is a great CB speaker from the esteemed Cobra brand. Cobra is known for producing high-quality CB radios. This speaker is no different when it comes to quality and performance. It has a maximum power of 15 Watt and provides 8 Ohm impedance. It is one of the most feature-rich CB radio speakers in the market. You will get talkback facility, noise canceling etc along with this awesome Cobra speaker. The well-built speaker will be your companion for years. Such is the quality of the materials used for its construction. Metal mesh grill and aluminum dust cap are uniquely found in this device. You will never have to increase the volume more than 50%. The speaker quality is superb. The size is little big. But it is good for trucks and SUVs. This is one is not primarily intended for CB radio usage. It is actually designed for scanners. But the great thing is that it works great with CB radios too. The speaker has got a feature called noise blanker which will effectively reduce electrical noises. We believe this particular feature has enhanced the quality of the sound output, which is very clear and loud in closed cabs. This 3”x3” speaker is the smallest one among our top CB external speakers. This makes it very easy to fit the device anywhere you wish. Uniden BC7 is one of the best external CB speakers one can buy for close hearings. The 202-VS4 from Astatic is the last product in our list. But it gives your phenomenal performance just like all the other external speakers listed above. This CB extension speaker is rated at 5 Watts power rating and 8 Ohm impedance. This one provides good sound output compared to the built-in radios and is worth buying. Don’t expect the CB speaker to provide outstanding sound output. This is a communication speaker and in that sense, it is one of the best product you will get in the market. Conclusion: Got the Best External Speaker for CB Radio? We’re at the last part of this article. I have to tell you that you can get rid off buying an external speaker if you could get a top quality CB radio. But the still, it’s a good idea to have one good external speaker with you. Afterall, they are very cheap. We have seen the top rated CB speakers to get you a smooth experience with your CB radio. These products are going to give you phenomenal performance if you happened to buy a normal CB radio. 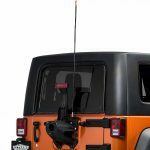 These are one of those top rated CB radio accessories for all CB lovers.